Mental ill health affects many Londoners. This year around one in four will experience a diagnosable mental health condition. That means 13 people on the bus this morning, more than 100 people on the tube on their way to work, and for children it's about three in every school class. These figures are staggering. They show we must work harder to prevent mental illness and provide a range of support for Londoners that can prevent them reaching crisis point. This guidance document is aimed at stakeholders involved in the section 136 (s136) pathway. Specifically, London's police forces, London Ambulance Service, Approved Mental Health Professionals and Acute and Mental Health Trusts. It outlines a consistent pathway of care across London and a minimum standard for Health Based Place of Safety sites. 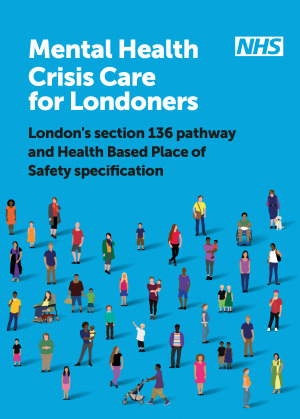 Both the s136 pathway and Health Based Place of Safety specification focus on all ages and should be used together to improve consistency of care in London. This document should be used in addition to London mental health crisis commissioning standards and recommendations (2014), the Mental Health Act 1983: Code of Practice (2015) and core principles of the Mental Health Crisis Care Concordat and Future in Mind (2015). The guidance covers the s136 pathway from when the individual is detained in a public place, conveyance processes, the interface with Accident and Emergency departments and processes at the Health Based Place of Safety (including the Mental Health assessment and arranging follow up care). Around one in four people in the UK suffer from a mental health problem each year, but mental illness often goes untreated, and historically, treatment options for mental health compare unfavourably with those for physical conditions. While mental illness is estimated to accounts for almost a quarter of the total burden of disease, only 13 per cent of the NHS budget is spent on mental health services. The NHS has set out that it wants to achieve "parity of esteem" between mental and physical health, in terms of access to services, quality of care and allocation of resources. While the achievement of parity of esteem has been a long term-policy goal, since 2010 this aim has increasingly featured in legislation and in government and NHS policy statements. "People deserve treatment as soon as their problems emerge, rather than waiting until they are in crisis. They deserve the same standards of access to treatment as people with physical illness. They deserve the same focus on recovery. We have a duty to secure equal rights for people with mental health problems. Nothing less is acceptable." OCD-UK is the charity dedicated to improving the mental health and well-being of almost one million people in the UK whose lives are affected by Obsessive-Compulsive Disorder. OCD-UK is unique in being an OCD charity that is completely service-user led, a charity for children and adults with OCD, run by sufferers, for sufferers. We facilitate a safe environment for people affected by OCD to communicate with each other and provide mutual understanding and support. You can you help make a positive difference by making a donation (every penny really makes a difference), or you can help by joining OCD-UK as a member, all of which will help us achieve our goals and make a real difference to the lives of children and adults affected by OCD. It is our belief that everyone affected by Obsessive Compulsive Disorder should receive the most appropriate and the highest quality standards of care, support and treatment. 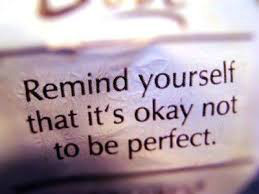 Our objective is to make a positive and meaningful difference in the everyday lives of people affected by Obsessive Compulsive Disorder by providing accessible and effective support services and by campaigning for improved access and quality treatment and care for people with OCD to ensure that every person affected by OCD receives the quality of treatment and care that they deserve. Is the voice of people with Obsessive-Compulsive Disorder in the UK. OCD-UK remains the only service-user led charity for people with OCD, run by sufferers, for sufferers. Raises awareness about OCD among healthcare professionals, health services and politicians of the seriousness of OCD to change opinion and influences healthcare policy change for treating OCD. Remains the source of independent advice and information on Obsessive-Compulsive Disorder. Receives no external support and remains funded and reliant on voluntary donations. We're approachable OCD-UK is a lifeline for anyone who is affected by Obsessive-Compulsive Disorder and their families. We'll do everything we can to help you access quality and prompt healthcare. We challenge Good health is a basic human expectation and everyone should have access to quality treatment to restore good mental health, and OCD-UK is challenging the healthcare provides, the NHS and politicians to make that vision a reality, through tenacious lobbying, research and policy reports, and high-profile public awareness campaigns. We're enterprising OCD-UK strives to get the most out of every penny we spend. We’re proud that we have achieved so much for people with OCD, so many innovative ideas and on a limited budget and pledge to continue this innovation and development and to join forces with like-minded organisations, to share our ideas, and develop creative ways of tackling the needs of the OCD community. We believe OCD-UK believes in children and adults with OCD, regardless of their circumstances, gender, race, disability or behaviour. We champion We use the knowledge gained from our direct work with children and adults with OCD to campaign for better treatment policy and to champion for the rights of every individual with OCD. Check out some of these apps. They can serve as a useful tool in better understanding and manageing your mental health. In Hand - A tool to focus where you're at and bring back the balance. You may be able to get some of this information from other members of the team who are involved in your care. 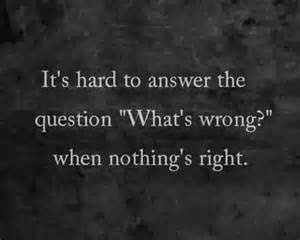 Not everyone will need all the answers to all these questions, and not all at the same time. You may have questions that are not covered in this leaflet. Even so, it should help you decide what you do need to know. This checklist is really useful to help empower the patient to understand better and manage his or her condition. Please use the link above to access the form online or alternatively see the checklist section I have created because I think this is a really positive tool. What illness (diagnosis) do I have? What symptoms suggest this diagnosis? What tests have already been done? Are there any other tests that might be needed? Have any physical problems been found, and what will need to be done about them? Where can I get written information about my problem? What are the possible diagnoses you are considering? What are the aims of my care and treatment? Where can I get written information about the treatment I will have/am having? Who will be responsible for my care (named nurse/care co-ordinator/ keyworker)? What exactly will they do? How often will they see me? How often will the psychiatrist see me? What are the plans for my treatment? Do I have any choice? Would talking treatments (e.g. cognitive behavioural therapy, family therapy) of any sort be helpful? If so, will they be available in my area? What happens if I refuse to have the suggested treatment? Are there any ways I can help myself? Who is responsible for organising it? If I am not satisfied with my treatment and care, who do I speak to? How can I get in touch with you, especially if I am not in hospital? How can I arrange to see you? What do I do if I am worried that I am becoming ill? Are there any local support, self-help or advocacy groups that I could get in touch with? Will my carer be involved in discussions concerning my care and treatment? Does my carer have to be involved in discussions about every detail of my care? Can I decide that my carer may know only about some details of my care and treatment? How can it help to have my carer involved in discussions about me? Can I refuse to allow my carer to be involved in any of these discussions? What medication am I on? What should the benefits of medication be? What symptoms would mean the dose should be changed? Can I take a low dose and increase it when necessary? Why am I on different types of medication? How often will my medication be reviewed? What shall I do if I have unpleasant side-effects? Do I need to be admitted to hospital? If so, for how long? If I have to go into hospital, which one will it be? What arrangements will be made for me after I leave hospital? How can I contact other people who have been through the same experiences? Please visit the NHS website below for more information on how to tailor your treatment to meet your needs. What is meant by legal right to choice? If you need to use mental health services for assessment or treatment, you have the legal right to choose which provider and team you're referred to by your GP for your first outpatient appointment. Clinical commissioning groups (CCGs) provide mental health services for their communities. You have the right to choose any mental health service provider in England as long as they provide a similar clinically appropriate service to the one your local CCG provides. Discuss your options with your GP. Compare mental health service providers and teams to make your choice. Discuss your choices with family or friends. If the service you have chosen is available through NHS e-Referral Service, you can book your appointment online, or you can call the Appointments Line on 0345 608 8888. Otherwise, confirm your choice with your GP, who can book an appointment for you. www.advicenow.org.uk - Information on the law and your rights. 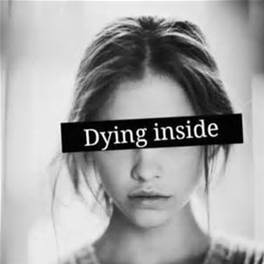 www.amandagreenauthor.co.uk – Amanda writes of her journey how she overcame borderline personality disorder, depression, anxiety, OCD and various adversities. www.april.org.uk - Information on Adverse Psychiatric Drug Reactions. Advice on claiming ESA support and other benefits. www.benzo.org.uk - Information relating to Benzodiazepines. www.chipmunkapublishing.com - World’s first mental health publishing - includes details of Chipmunka Foundation which includes forum for people with mental health issues. www.counselling-directory.org.uk – Information on finding a local counsellor. www.dailystrength.org - Online community support for anxiety, mental health and health related conditions. www.docready.org - Helps young people get ready for the first time visiting a doctor to discuss mental health. Digital tools aimed at ensuring young people get the most out of their appointment with the doctor. Head Meds gives young people in the UK general information about medication. www.healthyplace.com - A community of people providing mental health information, support and the opportunity to share experiences helpful to others. Information on psychological and psychiatric medication from both a consumer and expert point of view. Active chatrooms, hosted support groups, people who keep online journals, diaries, mental health news, mental health videos, online documentary films, mental health radio and more. (American site). www.intervoiceonline.org - Information and forum relating to hearing voices. www.menheal.org.uk - A website for all men who suffer from depression or anxiety from all round the world. 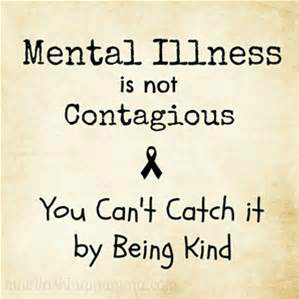 www.mentalhealthmatters.com - Information on mental health, personality disorders etc. www.mentalhealthcare.org.uk - Website aimed at anyone providing support to someone experiencing mental illness including details of local support groups. www.mind.org.uk/foodandmood - A site which explains how the foods we eat can affect our emotional well being and mental health. Gives advice on the best foods to eat to help with anxiety, depression, panic attacks and the foods to avoid. Information relating to mental health, depression, stress and anxiety. www.pendulum.org (American site) - Online support groups for people with manic depression (Bipolar disorder). 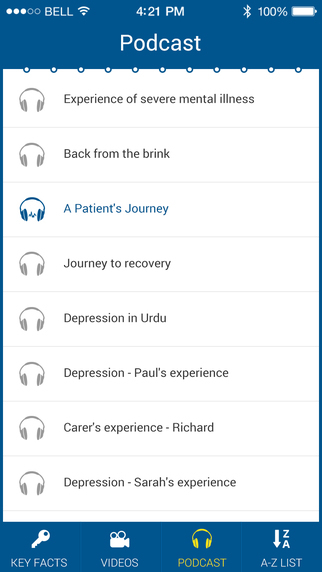 www.surgerydoor.co.uk - Click on 'medical conditions' and then 'mental health', lots of information relating to mental health issues, depression, anxiety, phobias, etc. www.thesite.org - Includes information relating to mental health. The Samaritans’ emergency helpline is available 24 hours a day, every day of the year. The Samaritans can also assist you with emotional support via e-mail. Samaritans listen in total confidence and without judgment, whatever your situation. Free, anonymous helpline (by telephone and webchat) for young men who are depressed or suicidal. It is staffed by trained counsellors who offer advice, guidance and information. Translation facilities are available on request. Papyrus provide a helpline and information for young people who are at risk of suicide or anyone who is worried about a young person. The Mental Health Foundation is a leading UK charity working in mental health and learning 2 disabilities (it incorporates the Foundation for People with Learning Disabilities). 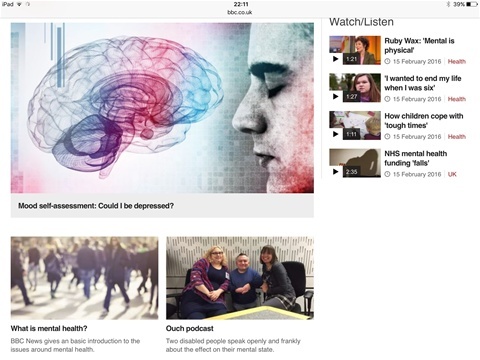 Here you will find the latest news and events on mental health issues, as well as information on problems, treatments and strategies for living with mental distress. welcome An internet-based therapy program designed to prevent depression in young people although people who are older may find it helpful. 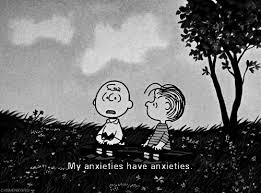 It includes assessments of anxiety and depression, thought patterns, life-event stress, parental relationships, and pleasant event scheduling. 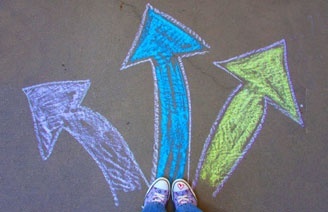 www.bacp.co.uk For a list of BACP accredited counsellors in your area. National umbrella organisation for all the psychotherapies; publishes the National Register of Psychotherapists, listing over 5,000 therapists. Scotland’s national charity for depression providing information, support groups and courses based on cognitive behavioural therapy. We meet for mutual support and friendship. We meet every Wednesday evening from 5pm to 8pm. We aim to provide support for people recovering from mental illness, who are or have been under a Community Mental Health Team. No referral is needed and there are no fees or formalities. Just turn up and you’ll be sure of a warm welcome. You can meet people, get together and socialise, or just relax quietly in a safe environment. Some members play board games and take part in quizzes; others enjoy the company and conversation, and having a place to see friends regularly. Hot meals, snacks, beverages, soft drinks and fruit are available at cost price. We also organise parties, subsidised outings, theatre trips and annual holidays, all very popular. Please contact us for more information or to be added to our mailing list. The MIND website has some reallly good links to safe havens if you are in crisis or feeling vulnerable. Bristol Men's Crisis House – residential crisis house located in Bristol, for men only. You can be referred by a health care professional, or you can self-refer by calling 0117 934 9848. Bristol Sanctuary – non-residential service located in Bristol open 7pm–2am on Friday, Saturday, Sunday and Monday. To find out more you can contact them on 0117 9542952. Coed Arian Community Crisis House – residential crisis house for residents of Cardiff and the Vale of Glamorgan, run by Welsh mental health charity Gofal with the local health board. A health care professional can refer you to this service. Dial House – non-residential service located in Leeds, open 6pm–2am on Wednesday, Friday, Saturday, Sunday and Monday. To refer yourself call 0113 260 9328 on the night you wish to request a visit. Drayton Park Women's Crisis Centre – residential crisis house located in London that accepts self-referrals from women living in Camden and Islington. To find out more you can contact them on 020 7607 2777, or visit their website. Hastings Sanctuary Service – sanctuary located in Hastings (Sussex), run by the charity Turning Point. This service is for anyone experiencing a mental health crisis, and they do accept people with drug or alcohol problems. Your CHRT team must refer you to this service. Maytree Suicide Respite Centre – residential crisis house located in London, which accepts self-referals. To find out more you can contact them on 020 7263 7070, or visit their website. 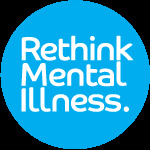 Rethink Mental Illness crisis houses – the charity Rethink Mental Illness offers a number of crisis houses around the country. You can find a full list by searching the online directory on their website, or alternatively contact their information line on 0300 5000 927 (open weekdays between 10am–2pm, excluding bank holidays) and ask for details of the nearest crisis house to you. The Safe Haven – non-residential service located in Corby (Northamptonshire), open Saturday–Tuesday evenings, between 6pm–2am. To find out more you can contact them on 01536 461414, or visit their website. Samaritans local branches – some local branches of the Samaritans around the country offer a drop in service where you can talk to a volunteer about anything that is upsetting you. The Sanctuary – non-residential service with locations in Greater Manchester, Wigan & Leigh and Bolton, open every day throughout the year 8pm–6am. You can refer yourself by calling. A UK charity that provides information, carries out research, campaigns and works to improve services for anyone affected by mental health problems, whatever their age and wherever they live. The website has an online ‘Mental Health A-Z’, offering information on problems, issues and treatment options, including the latest news, upcoming events and relevant organisations. 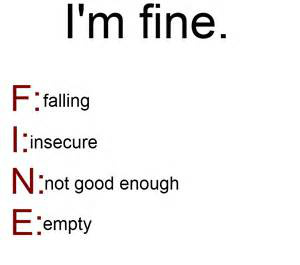 Mind has confidential help and advice on a range of mental health issues. 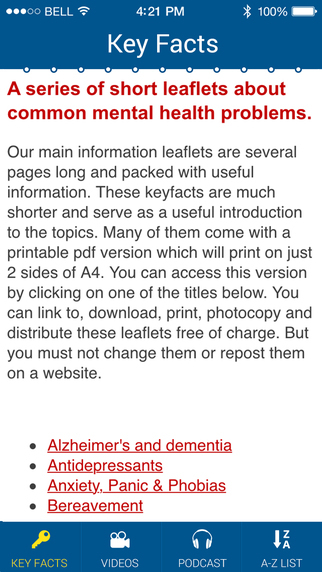 Also has a diverse range of information, leaflets, factsheets and publications - including pharmaceutical and complementary treatments; mental health conditions; positive mental health and rights for service users. Provides information and support to people with experience of mental ill health and to carers. Works to help everyone affected by severe mental illness recover a better quality of life. Operates a range of community based mental services (E.g. housing support projects) and local self help groups throughout the UK. Information on support groups, carer support, crisis, housing. Founded 40 years ago through voluntary groups for people affected by mental illness. What is the Jewish Helpline? We are immensely proud of the service we provide to people across the Jewish community who are in crises. We provide a lifeline to those who are feeling lonely, anxious, depressed or suicidal. We are open from 12 noon to 12 midnight every day except Shabbat and Yom Tovim.